What kind of person needs to add a permanent record of their visit to this view? 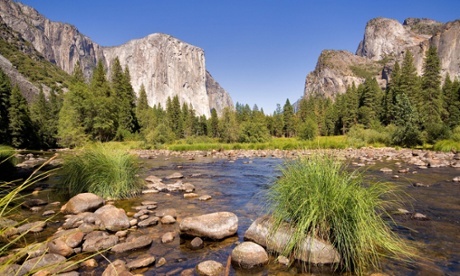 Yosemite National Park is a sacred place for me: it is where I fell in love with the outdoors. Its towering granite walls, high meadows, deep canyons and sharp mountain summits drew me into nature in a way I had never experienced. My story isn’t unique. Famous conservationists and artists such as John Muir and Ansel Adams were deeply inspired by this land. My love story can be told by so many other people about so many other special locations in our country – the expansive spaces of Death Valley, the deep blue colors of Crater Lake, the dark narrow canyons of Zion. Thanks to the Wilderness Act and the National Park Service preserving these spaces for future generations, none of us will be the last to tell these stories. That is why I was so angry when I first stumbled across the photo of the “creepytings” graffiti along the Vernal Falls trail in Yosemite: it felt like a personal insult. She might as well have done it on the front door of my house or the altar of my church or, really, on everyone’s front doors, because that place isn’t just mine – it belongs to everyone. By defacing our national parks, the creepytings vandal declared her need for self-expression to be above the needs of the rest of us. Mother Nature spent millions of years creating these special places but, rather than let her beauty inspire and awe visitors, that vandal decided that the natural world would be improved with her graffiti. So now, instead of being dazzled by the views and surroundings, we are assaulted with a reminder of the very things many of us go to the parks to get away from. Creepytings stole meaningful experiences of the wild from each and every one of us. Furthermore, some people inevitably consider one act of vandalism an invitation to add their own. We’ve seen before how quickly a formerly pristine natural location can be destroyed by copycat “artists”. Some people have asked, What’s the difference between this and pictographs? Isn’t this the same thing?. The simplest answer is that the native people who painted the rock art weren’t doing it on land that was federally protected at the time. But, more importantly, ancient rock art was the only form of written expression: it alerted others to things like the presence of water or fertile hunting grounds and captured religious ceremonies and prayers. Pictograms like those in the national parks are an archive of our human history from a time when no other method existed for recording such information. Today, we have writing and cameras, Instagram and blogs and countless other ways to create and share knowledge and art. Creepytings vandalism in these parks is in no way equivalent to the rock art of the past. Despite the damage, I hope that we can take the collective outrage and turn it into something positive. Let’s turn our anger into volunteer work with the understaffed and underfunded parks, donate to organizations that do trail cleanup and maintenance and vote for representatives who want to adequately fund the park rangers who could have caught this vandal in the act rather than cutting the already strapped budgets. If you’re going to one of our parks, educate yourself – and others – on Leave No Trace principles, bring a trash bag on your next hike and pick up discarded energy bar wrappers and bottle caps you’ll unfortunately find while you’re there. But if you don’t share my outrage, I challenge you to go visit one of these parks. Stand in the cathedral that is Yosemite Valley, take in the view of Crater Lake from Mt Scott, explore a hanging valley in Zion or experience the clear night skies of Death Valley. Appreciate the natural and timeless art that came into existence without human hands. Find for yourself the awe and inspiration that I feel – and vandals like creepytings clearly don’t – each and every time I visit one of these places.